Jane Lee-Stewart is a practitioner in the emerging field of Mindbody Medicine. Her primary interest is in the psychospiritual aspects of disease. She uses the energetic models of Kinesiology, MindBody medicine and Traditional Chinese Medicine to help clients understand the inner and outer aspects of healing. In this model, physical symptoms are always the outward manifestation or compensation for inner processes and past issues. Behaviours create symptoms and Jane seeks to uncover and work with the underlying and true causes of illness and wellness. At some level, this usually means transforming obtacles to unity of heart and mind. Kinesiology uses the biofeedback tool of muscle monitoring to identify and balance all kinds of stresses from the physical to the metaphysical. 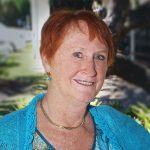 In your kinesiology session, Jane will investigate physical, emotional, mental and biochemical aspects of your health as well as constitutional patterns and tendencies emerging from the past. Identifying and transforming negative thoughts and emotions which block personal evolution is one of the most useful outcomes of kinesiology. A kinesiology session is relaxing, educative, cathartic, transformative and promotes self healing at every level of the being. It can also help to select and refine your choices in exercise, supplements, food and anything else you put into your body to best suit your unique makeup and stress patterns. Kinesiology is the only health modality that can re-establish electrical feedback between the brain and muscles, when muscles are energetically switched off. Jane works with clients of all ages and finds children respond instantly and in profound ways to this work. Jane has had wide training in energetic kinesiology and mindbody medicine with some of the most highly regarded teachers in this field. 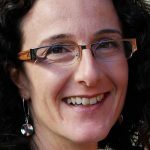 She has worked as a kinesiologist for almost two decades and this year launched the book, Energy Medicine, on sale in the UK, USA and Australia.